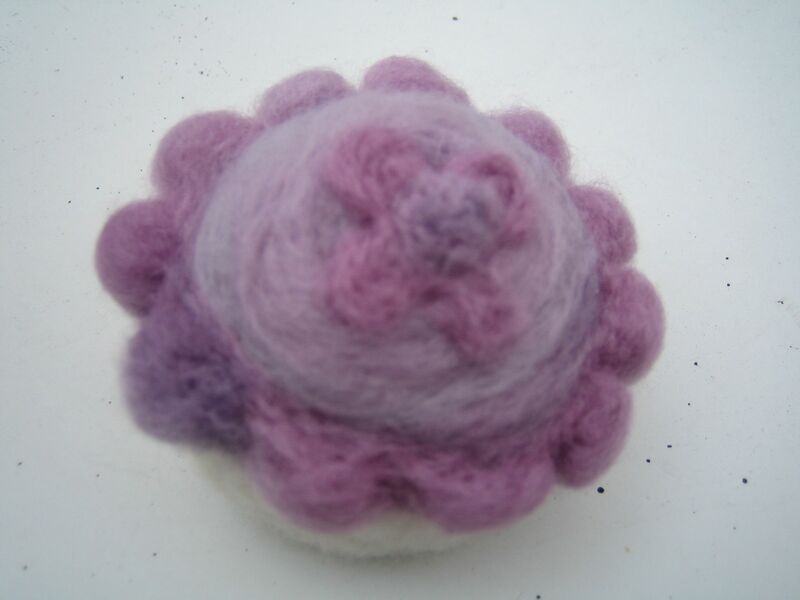 It seems everyone loves cup cakes, there are pattern books to knit your own so when a friend suggest I make some woolly ones I thought, why not? I’d made balls, Christmas puddings and fish so thinking cap on. pinny on, mixing bowl out (just kidding) and bag of coloured merino & off I went. To date I have probably made a couple of dozen, all different colours, French fancies, mini chocolate swiss rolls, coffee & walnut…… They make fab pin cushions and the glass headed pins look like hundreds & thousands! 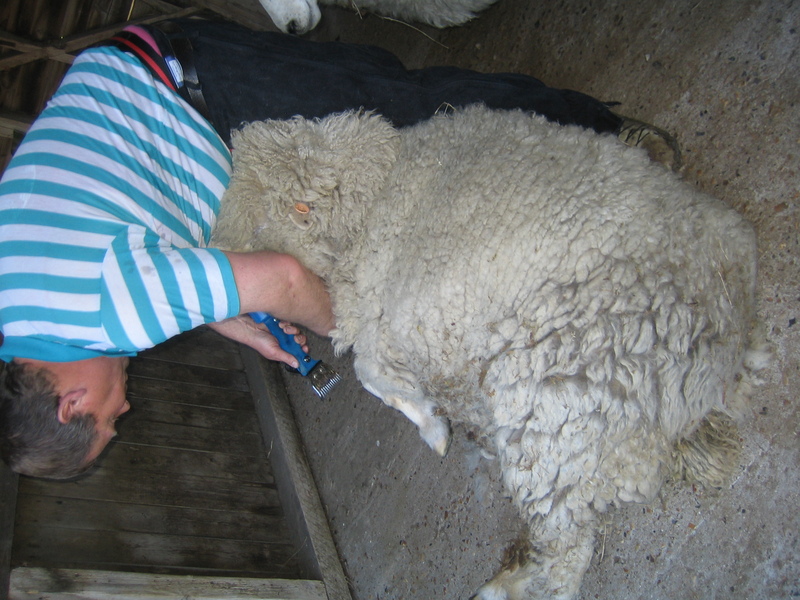 Last night the 2 Romney sheep in my back garden were shorn, they are so huge the shearer has his hands full trying to move them around to give them a decent hair cut. They bleated for ages after with sheer (shear) joy. It has been fun watching their reaction to the fox cubs over the past couple of weeks, they just dont know what to make of each other. Today I was able to see some amazing alpacas being shorn at Fletching. 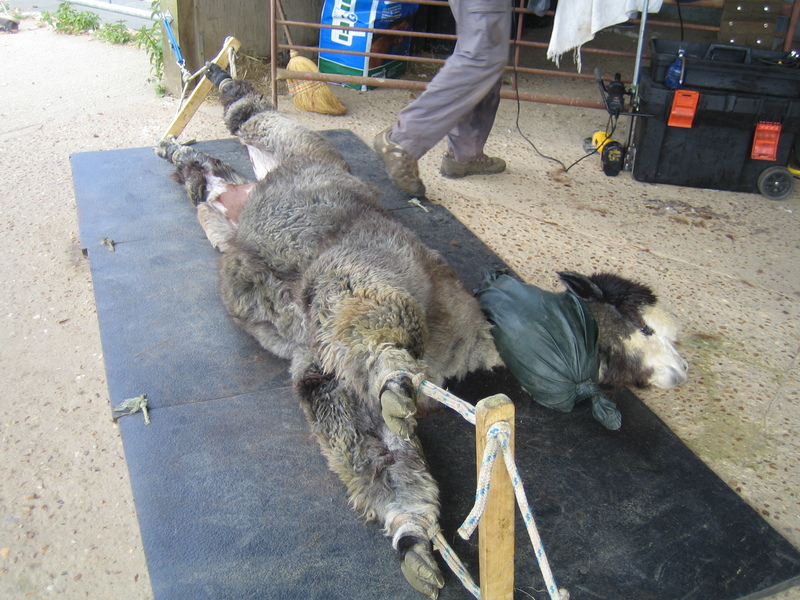 It may look cruel but this is a tried and tested method of calming the animals while removing their fabulous fleeces. The dont produce wool-only sheep are wool producers-we call their coat a fleece when it’s entire but its a fibre rather like hair. I have spun many of the colours from Vicky & Chris but today I managed to bring home some fibre from the dark grey male which is all shades of grey with some black thrown in for good measure. I have been trying to collect all the natural colours over the years & want eventually to knit something in fairisle. I wish he'd hurry up I've a pain in the neck!